Resonance FM‘s Hello GoodBye promises to see out the year in some style, with the final show for 2015 this coming Saturday 19th December. Featuring live music from the barnstorming modern jazz quintet Led Bib plus incendiary punk shenanigans from Anarchistwood. 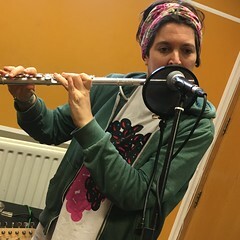 This entry was posted in dexter bentley, hello goodbye show, Hello GoodBye Show: Listings Info, resonance fm and tagged anarchistwood, dexter bentley, hello goodbye, led bib, resonance fm. Bookmark the permalink.